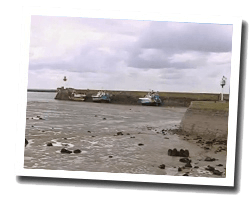 Saint-Vaast-la-Hougue is a picturesque city full of charm with a rich architectural heritage. It is a fishing port and a marina. Local oysters are delicious. About a kilometre from the coast, the Tatihou island is part of the municipality. It is accessible on foot at low tide. At the seaside you can find 2 sandy beaches. 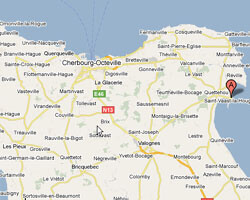 In Saint-Vaast-la-Hougue enjoy a seaview holiday rental. 1 Bedroom(s), 2 double bed(s). Final cleaning : 100 €. 3 rooms apartment 71m2 on the marina. balcony. Shops at 200m, beach at 100m. 2 Bedroom(s), 2 double bed(s). Final cleaning : 50 €. Ideally located, our cottage is located on the harbor with sea view 50 meters from shops and water activities, this property which is offered has been rented out in April 2014, with a south facing sunny terrace all day. 2 Bedroom(s), 1 double bed(s). Final cleaning possibility. Price from 350 € to 595 €.